Happy Hump Day all you crafty crafters! 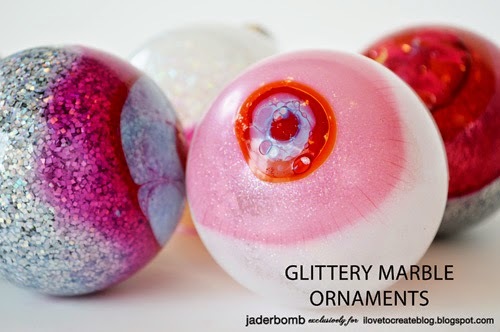 It's Jade here showing you how make glittery, swirly ornaments. I know Christmas is almost here but I have an idea for you that you might just love. 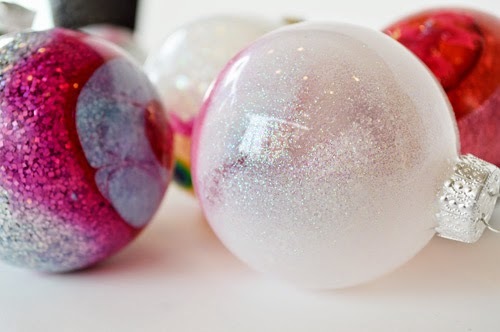 When we think of "ornaments" we think of buying them and putting them on our tree. This usually happens a few weeks before Christmas, right! 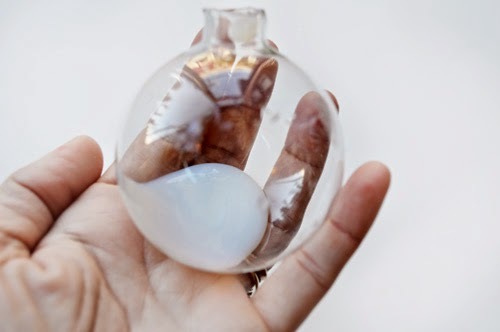 BUT, what if you make a dozen DIY ornaments and give them to someone as a gift! 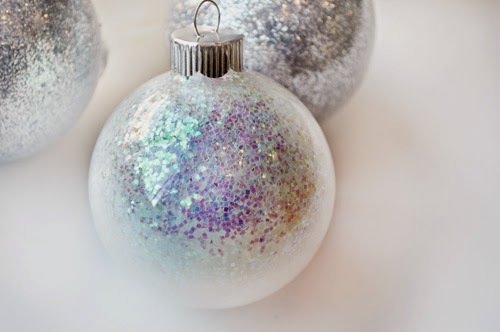 Let's face it, decorative ornaments can be pricey but if you make them for a special person next year when they start decorating their tree they will fall in love all over again! They will think of you as they put every single ornament on their tree. Plus its something they can use year after year! Whattya say?! 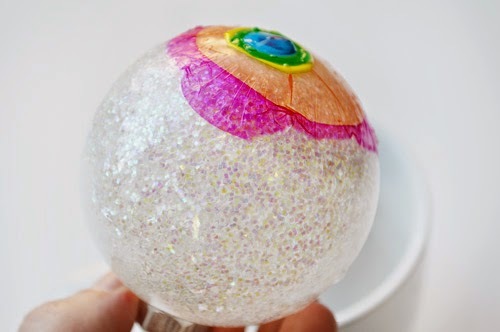 I am seriously in love with these fabric glitters. They thick chunky ones are the best! 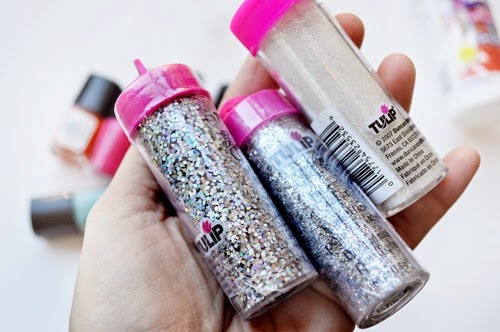 I also like to mix all three of them together to get my own concoction of glitter. Try it! 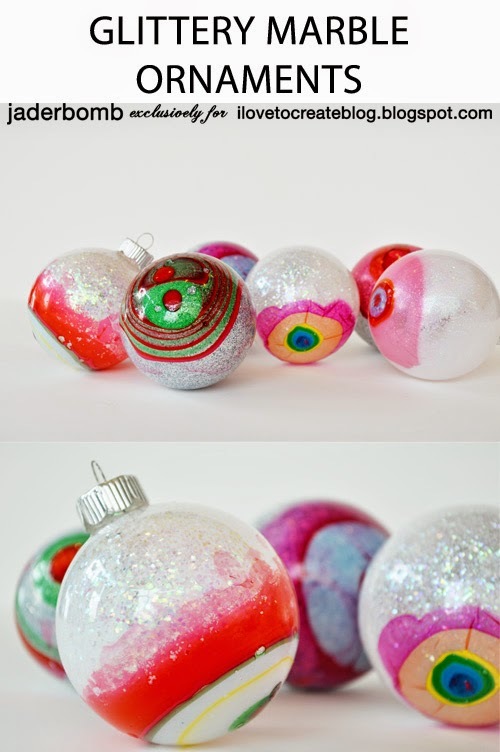 Step 1: Place your ornament in a secure spot and squeeze a little Collage Pauge into the ornament. You do not need a lot, maybe around the size of a quarter. P.S. 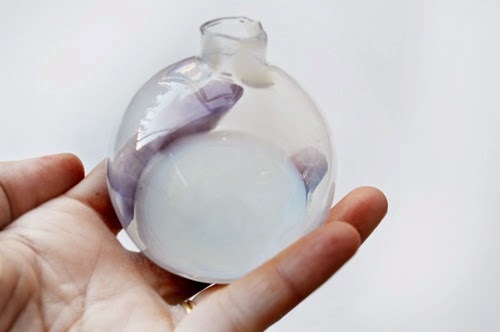 If you are doing multiple ornaments you can just pour this liquid into another ornament. 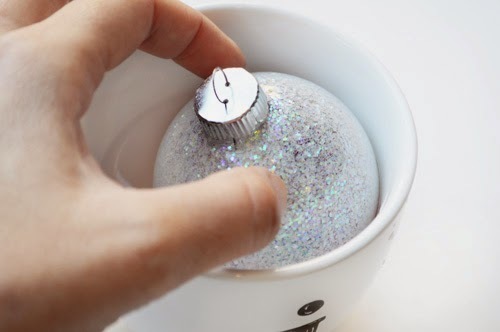 Step 3: Place the ornament over a paper plate or sheet of paper then pour glitter inside of the ornament. 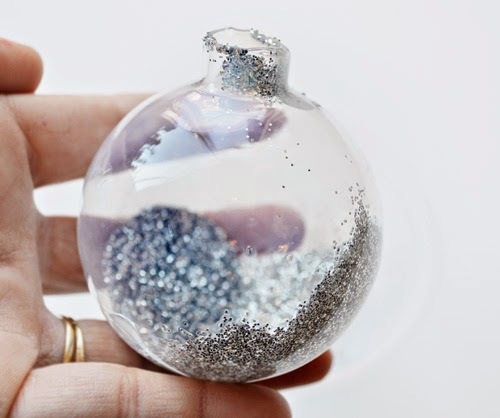 Turn the ornament on it's side and spin the glitter until the entire inside is coated. HOW BEAUTIFUL! Guys, this stuff doesn't drip either while it's drying. 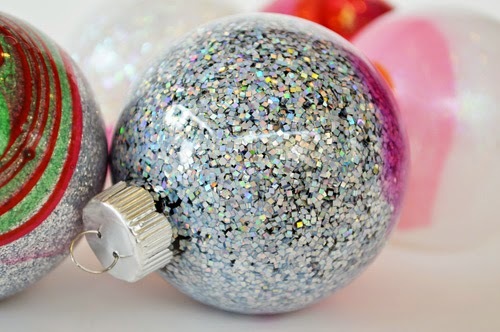 Time to start adding some nail polish color to our ornament. 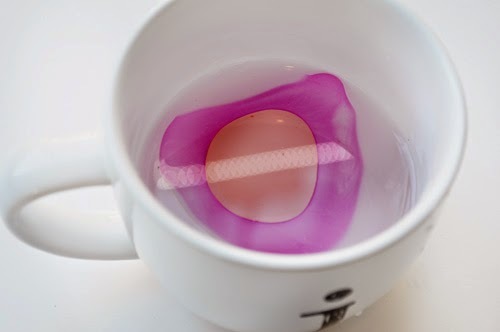 Step 1: Pour some bottled water into a mug. Make sure the mug is big enough for your ornament. The key is trying to find a mug that fits your ornaments almost perfectly. From experience bottled water works the best. 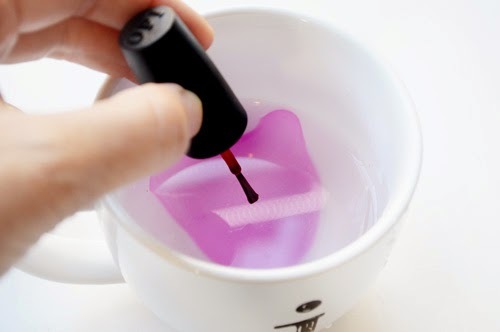 Step 2: Grab some nail polish and let the first drip touch the top of the water. It will quickly disperse outward. You want to work very quickly at this stage. 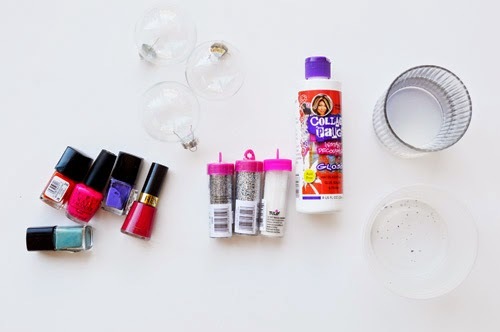 It helps to have the nail polishes you are using already open. This is what it will do when you add your second color. You always want to add to the center. 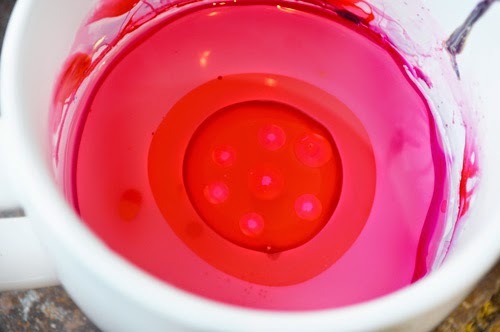 Continue adding as many colors as you want but work QUICK because it will dry quick and form a layer on top of the water. Step 3: Step back and strait up ADMIRE your instant art work. YO, I totally wanted to drink this beauty up. It's like a tea bomb! 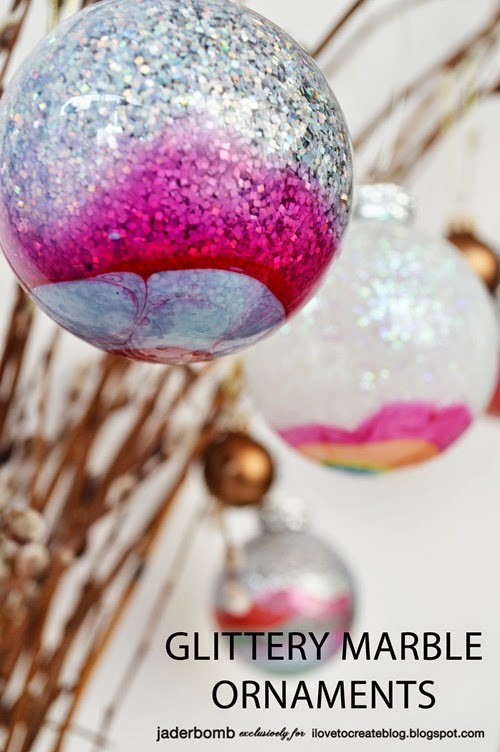 Step 4: Grab onto your ornament tightly and place it directly on top of your art work. 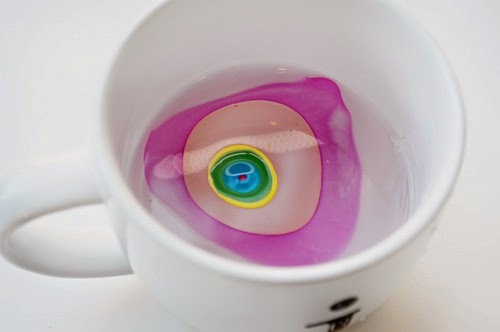 Leave it in the water for about 5 seconds then slowly pull it out. I just had to share this picture below because... well just look at it. It's a beauty! 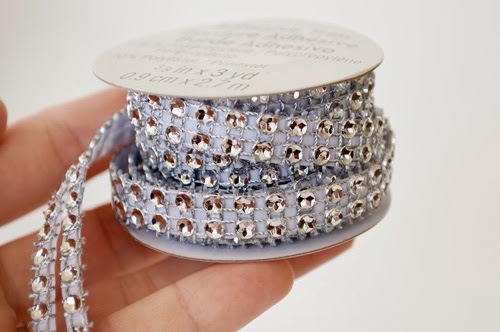 If you want to decorate the top of your ornament get some sticky jeweled ribbon like this and wrap it around the top. It's that simple! Love this! Can I use Mod Podge instead? Il rehaut che reca gli indici orologi replica di ore e minuti, circondato dalla tipica lunetta ottagonale, è l’ultimo replica rolex collegamento con l’esterno dell’orologio. Ponti e tutti gli elementi del movimento sono stati talmente alleggeriti da sembrare repliche orologi sospesi nel vuoto.